Graduating from college may have dimmed the year-round spotlight on El-Salaam, but it seems to have increased his production for Mixtape. 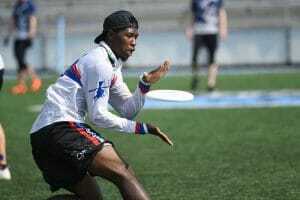 While the Seattle-based team hasn’t quite achieved the triple-crown-winning level they set for themselves in 2017, El-Salaam has pushed himself back into the POTY discussion with strong performances across the summer’s biggest events. His well-rounded game and physical abilities have frustrated some of the best downfield players in the division. No player can claim to have a mismatch when El-Salaam is marking them; the normal advantages of height, speed, and agility aren’t as great an edge against the Mixtape veteran. What’s been most impressive with El-Salaam’s season so far has been his field awareness. He’s developed an uncanny ability to bait throwers into making poor shots and chasing down hucks he did not appear to have a chance at. El-Salaam’s defensive talents are nothing new, but his heightened focus and grit this season have been vital for a squad still trying to recapture the offensive rhythm that led them to gold last fall. If El-Salaam can catalyze improved form for Seattle in the Series, both he and Mixtape could end 2018 with more hardware. 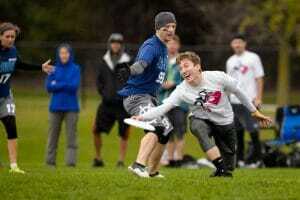 Denver Love Tractor is enjoying the best season in their program’s history, and Jack McShane is the driving force. When the former Bravo star joined Love Tractor in 2015, he changed the trajectory of the team and they have been a fixture on the national stage since. Love Tractor is deeper than ever this year, with many big pickups to help lessen the burden, but when the team needs a spark, they still look to McShane, and he always delivers. The Denver squad relies on McShane’s throws and quick movement to break them out of tight defensive pressure. Impressively calm with the disc in his hands, McShane’s around breaks and hucks keep the Denver offense moving. And just in case a team shuts down McShane in the handler space, he can take defenders deep just as easily. It’s rare to find a player who is capable of carrying a team the way McShane can, and with Love Tractor’s new team depth, he has the freedom to stretch opponents even further. McShane has pushed Love Tractor to new heights, and elevated his game to match. Long a stalwart of the division’s elite echelon, Sarah Meckstroth may be enjoying her best season yet in a Drag’n Thrust uniform. 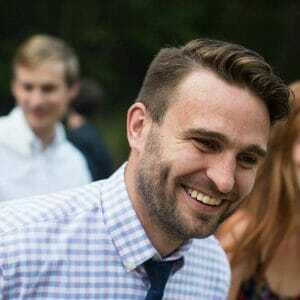 As time continues to chip away at the team’s three-peat championship core, Meckstroth has taken on a larger and larger role leading Minneapolis’ next generation roster. Whether streaking past her defender to score goals, flipping high-release forehands into the endzone, or baiting blocks against opponents foolish enough to test her immense range, Meckstroth is never far from the action on the field this season. Her combination of size and speed remain weapons few in the division can match, and she’s expanded her arsenal of throws to become a reliable operator in the handler space. Paired with years of international-level experience and an astute reading of the game, it’s no wonder Mecks has converted that skillset into a dominant run through the regular season. 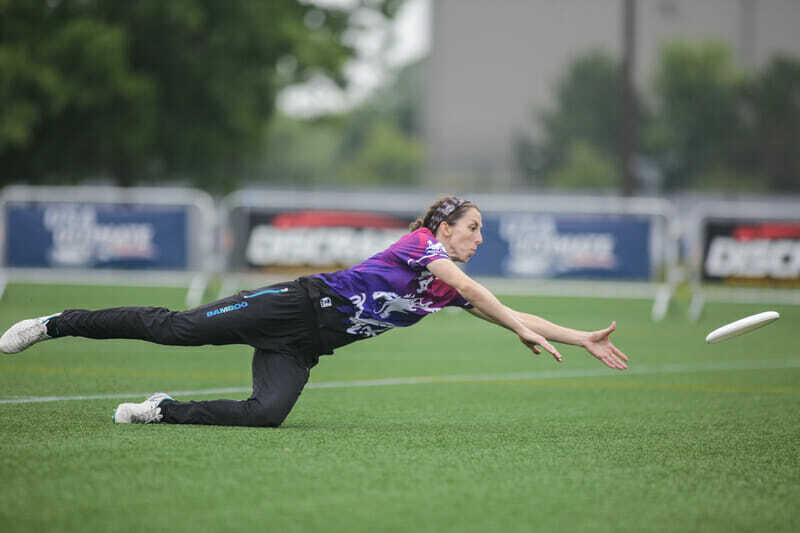 With Minneapolis once again looking to be among the favorites heading into the Series, a deep run in San Diego fueled by Meckstroth could be enough to see her graduate from being “just” an All-Club performer. On a team long known for their strict adherence to simple, fundamental offense, Carolyn Normile has established a role as a rule breaker. Able to attack opponents in all facets of the game — from her dynamic handling to her aggressive cutting to her predatory defense — she deploys her considerable talent to take chances that more often than not pan out for Philadelphia. Normile is one of the few women in the division entrusted with initiating an offense by picking up a dead disc, and it’s easy to see why. Her canny array of throws threatens the entire field at once, forcing her mark into the tough choice between pressuring Normile’s big forehand hucks or trying to contain breaks from her quick high backhand. Either decision is mercilessly punished. This season Normile has been a real focal point on a AMP squad that has spent the last few years shedding their reputation as a faceless army and becoming a battery of recognizable stars. In fact, one of the biggest threats to Normile’s candidacy in this season’s POTY race is the strength and depth of her teammates — any of Nicky Spiva, Emily Shields, Sean Mott, Linda Morse, or even others could just as easily end the season as AMP’s leading contender for the award. Each year we try to count out San Francisco Blackbird and each year they continue to prove us wrong. At the heart of their surge this season is Mac Taylor. Taylor looks like he’s back to his old Revolver form, and Blackbird is looking to get the disc in his hands as much as possible. Comfortable initiating out of Blackbird’s well-drilled sidestack, handling in the backfield, or finishing off points striking deep to the end zone, Taylor is a rare talent who teams must gameplan around. And despite this attention, Taylor still dominates on offense; he draws so many defenders that his teammates often have wide-open continues and scores. Still one of the biggest throwers in the game, Taylor was a major factor behind Blackbird’s seizure of another strength bid for the Southwest. Thriving in his role as a primary option, he’s the engine that will get them to the big stage in San Diego. For Sam Valesano, it seems that the more she pushes into Masters range, the stronger she gets. No Touching’s captain and initiating cutter has firmly carved out a reputation for herself as threat downfield and a nightmare to defend. With her teammates giving her a wide berth in the middle of the field, Valesano is able to set up a cut however she wants. She hasn’t had to use jukes or wild cutting patterns to get open, either. Valesano’s greatest gift to No Touching is her simple, purposeful cuts. 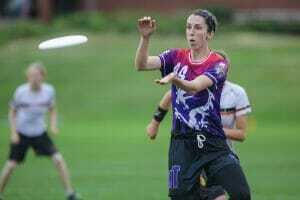 She knows where she wants to go, and that she’s going to get her hands on that disc before anyone else. No matter how physical a defender may get, Valesano can play through it. As No Touching’s number one target, she’s often faced with the most gritty and athletic defenders the opposition can throw at her. And yet, throughout 2018, Sam has shown that she can outplay even the toughest defenders. Have we mentioned that she’s Masters eligible? Comments on "2018 Club Player of the Year Watchlist (Mixed)"